Blockchain Technology. What Is It And How Could It Affect Your Business? Home Blogs What is professional indemnity insurance? 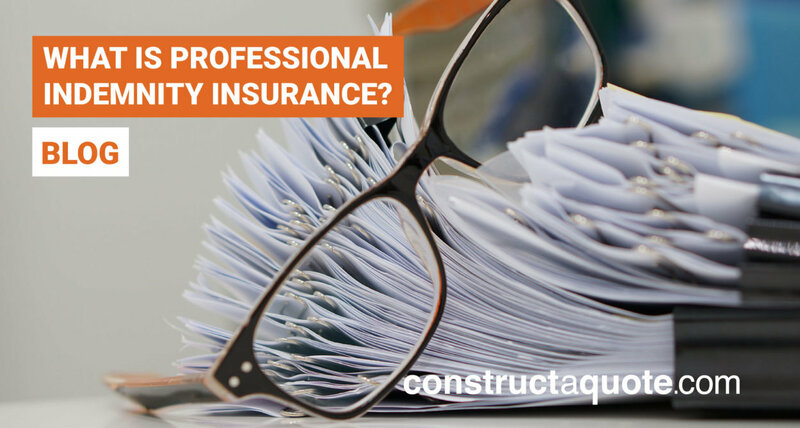 If you’re a consultant, running a business, or just starting out, you might have heard of professional indemnity insurance. Because it can get confusing understanding all of the different types of insurance cover available for businesses, this article will briefly take a look at what professional indemnity is, so that you can decide if it’s something you need. As a business professional or consultant, professional indemnity insurance is essential and could protect your business from legal disputes and claims of negligence made by any clients. If a client or third party makes a claim against you or your business which proves the service you provided was inadequate and resulting in their financial loss, professional indemnity insurance protects your business by covering the legal costs, expenses, and compensation due to the claimant. Professional indemnity insurance can also cover your business for intellectual property infringements, claims of dishonesty or defamation, and loss or inappropriate use of documents or data. Without the correct insurance cover, you may not be able to afford the advice and legal defense you need to support you in the event of an allegation. Unlike other forms of business insurance such as public liability and employers liability which are there to protect staff and members of the public, professional indemnity insurance is there to protect the consultant/business owner. A business consultant advised another business to significantly change it’s marketing methods which resulted in the business losing a large number of sales and profit. An IT consultant failed to protect a clients website from cybersecurity risks causing the website to crash and the client to lose earnings. An architect incorrectly measured and designed a building plan which resulted in the client having to pay for extra contractors to rectify the issue. While some chartered professions do not legally need to have professional indemnity cover, it should still be considered as an essential product to obtain if your business provides professional services that involve advice or guidance, handling data or intellectual property. Simply put, if you offer advice to a client, you could be at risk of a professional indemnity claim. If you work in a professional sector, professional indemnity insurance could protect you against civil liabilities, breach of duties, tort, and contract and your policy can cover as many areas as you need. What Happens If I Don’t Have Professional Indemnity Insurance? Should a client or third party make a claim against you for negligence and you do not have professional indemnity cover, the reputational repercussions could be very damaging and the financial strain detrimental to your business. Choosing not to get professional indemnity insurance runs the risk of your business being vulnerable to a claim which could lose you money, clients in the future, and even your business. Not many businesses can survive a claim without the correct insurance in place. The cost of a claim can rapidly escalate to reach hundreds of thousands and even millions. Many insurers will only cover professionals and businesses up to £50,000 as standard. However, at constructaquote.com, we offer limits from £50,000 to £2million and in some cases more than £2 million. The cost of your professional indemnity insurance will depend on the level of cover you need and if you have not made a claim before, determining how much cover you need can be complex. There is no exact science for calculating the level of protection you need, but the specialist team at constructaquote.com aim to source the best competitively priced and appropriate cover for their customers. While professional indemnity could be considered as an additional expense to consultants and business owners, it’s important to emphasise that for the price of an insurance premium, the protection you receive in the event of a claim could be ‘life-saving’ for the business.